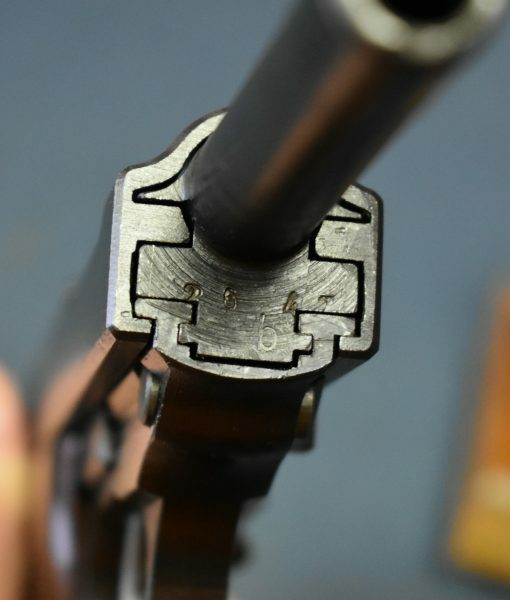 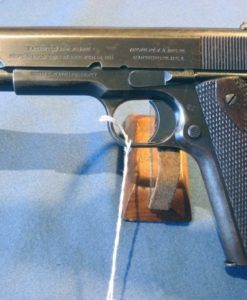 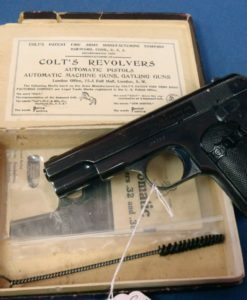 Sold – WALTHER ac 45 P.38 PISTOL….. 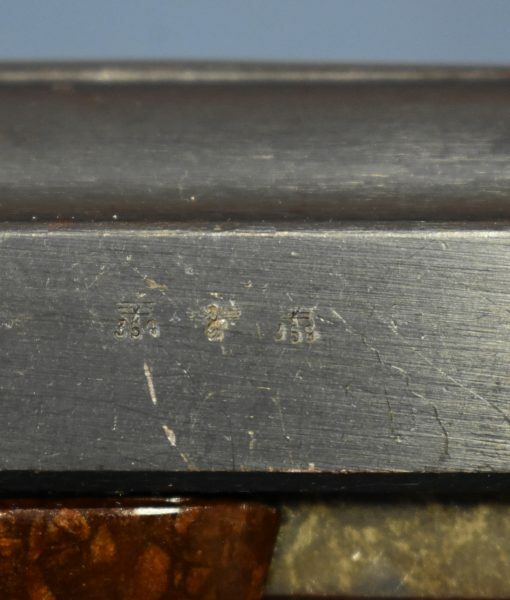 MATCHING 1945 “b” LETTER BLOCK…..COG HAMMER….RARE FNH BARREL…..MINT! 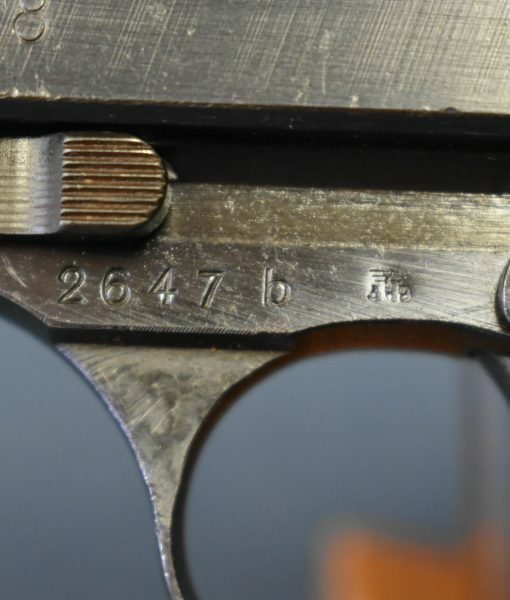 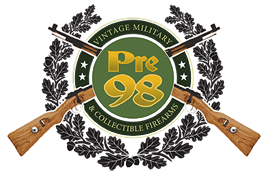 In 98% very sharp all matching condition, we have a late war 1945 production Walther made ac45 coded P.38 Pistol. . 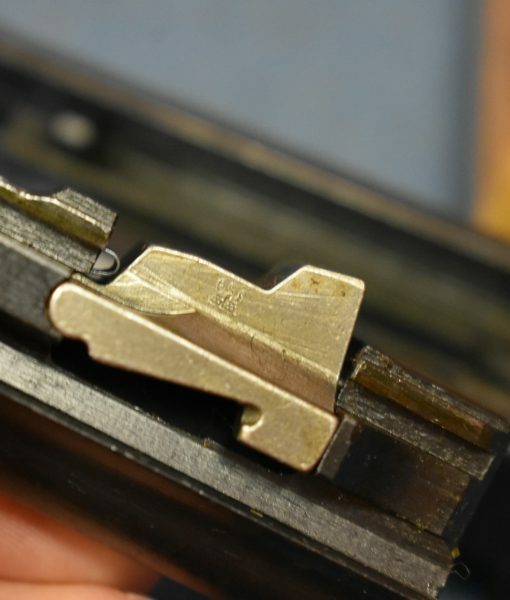 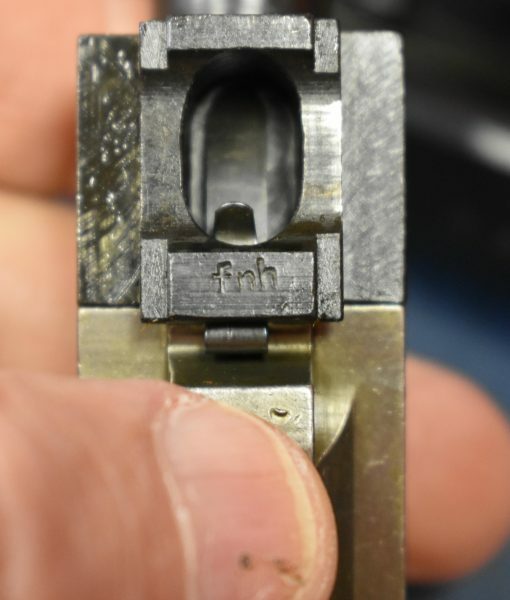 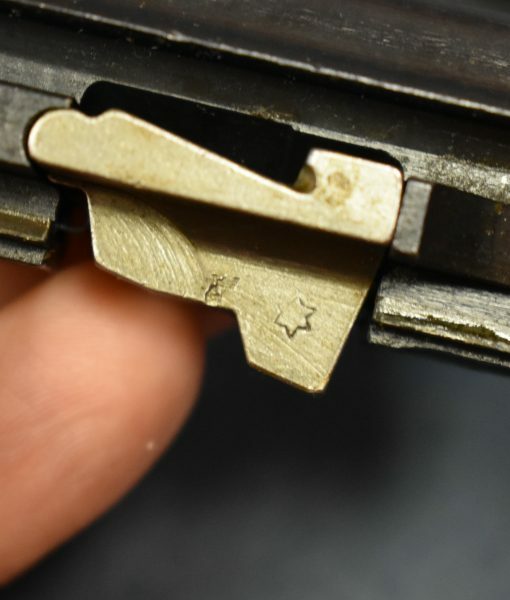 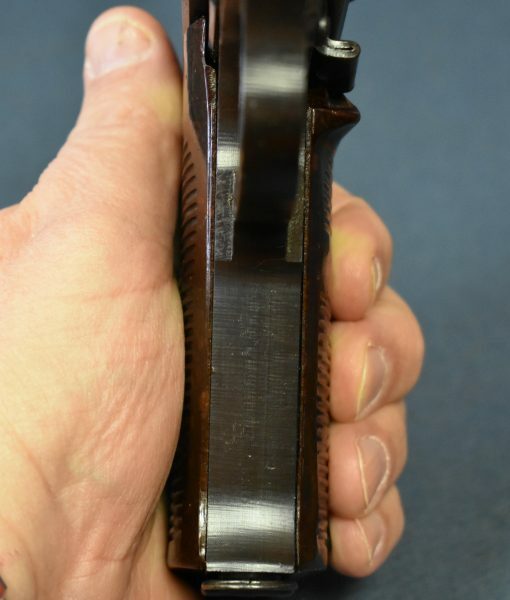 This is an “b” letter block February, 1945 production pistol. 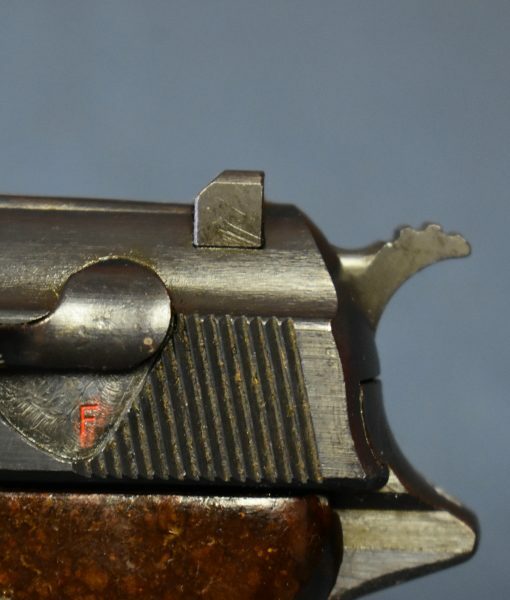 This pistol is fitted with the rare fnh coded Czech Made barrel. 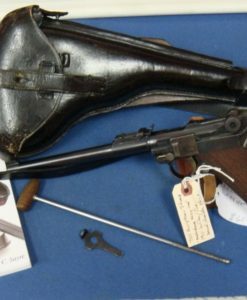 The pistol has the rare late war cog hammer and the bore is mint. 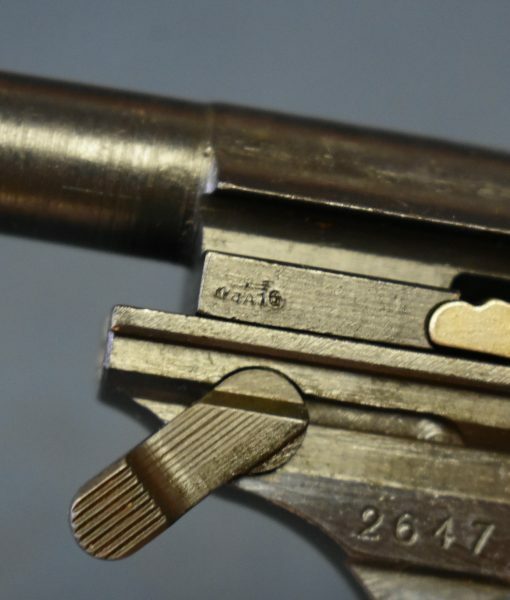 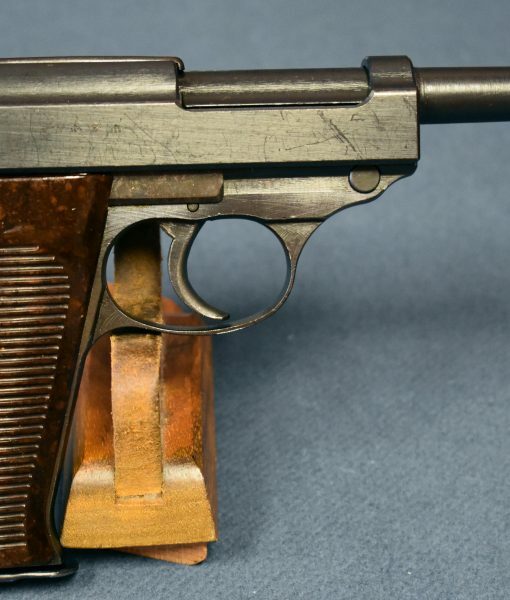 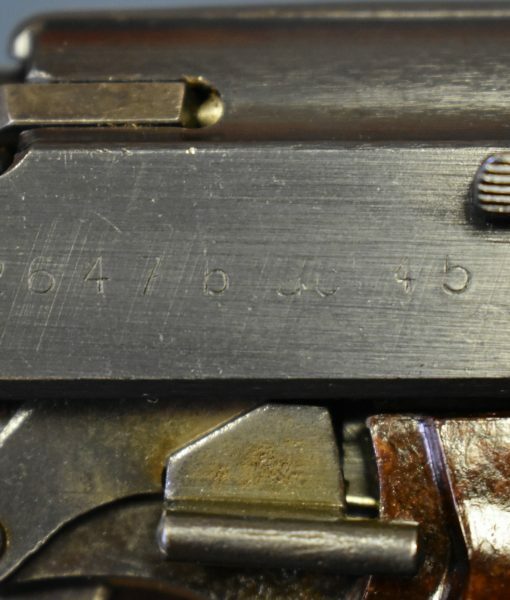 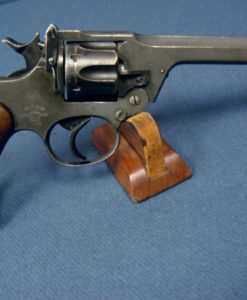 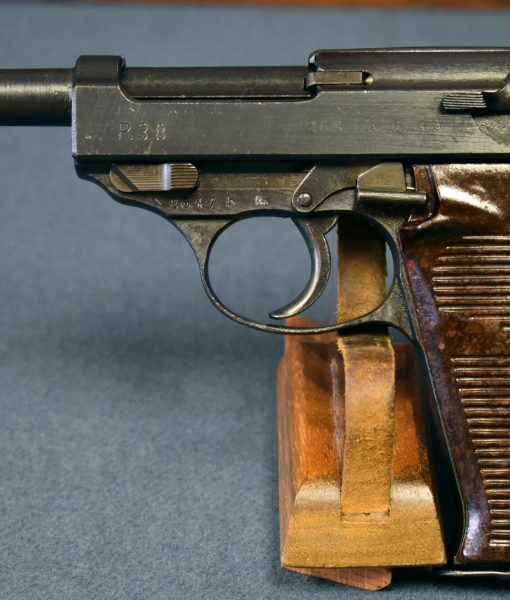 Walther quality stayed very high even in the final months of the war as is the case with this pistol. 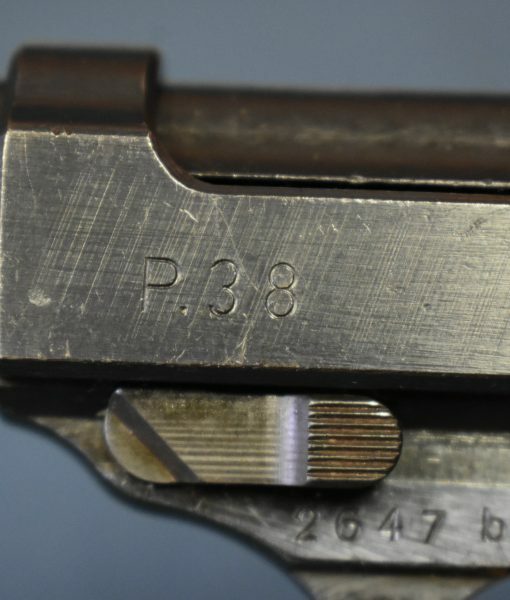 1945 dated P.38’s are not particularly scarce, but they are harder to find simply for the fact that they were in production for less than 6 months. 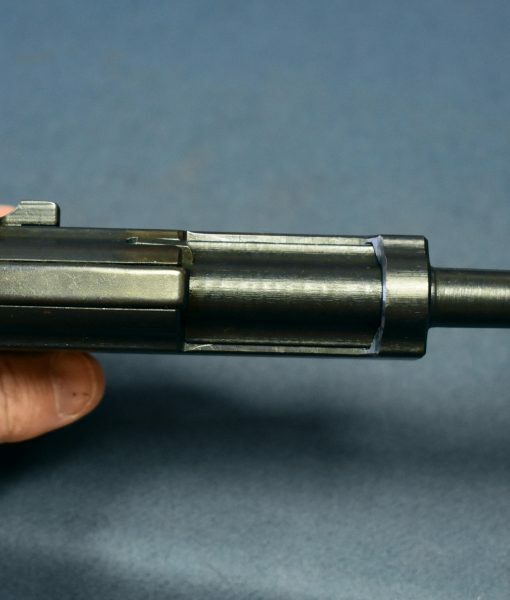 This is a nice example for any collector and having the rare fnh coded barrel is a big plus.